What do Jesus, sunflower seeds and a music festival have in common? Storage operators have used all three to promote their facilities. Several self-storage facilities have found unique ways to reach out to current and potential customers by offering unusual promotional items. These gifts surpass the ordinary logo-printed key chain or coffee mug. Melissa Stiles, marketing manager at Storage Asset Management, a storage operator and consultant, thinks handing out gifts to customers is a great way to build relationships and personalize your business. Steve Wilson, owner and CEO of 13 Hide-Away Storage and Xpress Storage facilities in Florida, doesn’t hide his faith. He runs his business by the principles of his Christian beliefs. “I had a born-again experience and became a Christian right when I got involved in the storage industry,” he said. Wilson believes “work is an extension of your spiritual life,” so every facility contains a display with free Bibles, children’s DVDs about Jesus, and informational brochures. 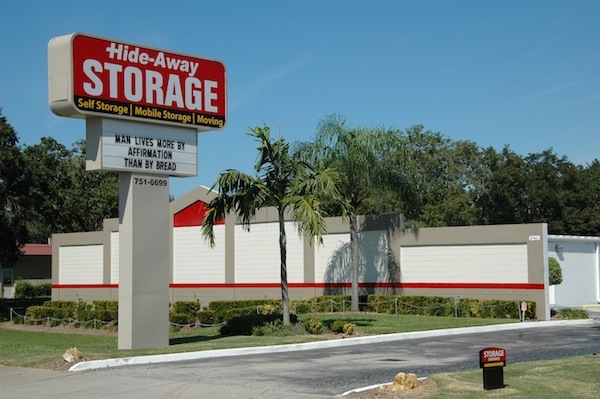 Cassie Williams, manager of the Hide-Away Storage facility in Bradenton, FL, said it’s a great way to give back to the community. “We have a lot of people who come here stressed-out, going through a divorce or some other difficult situation. … We don’t push the materials on them, but it’s there if they need it,” Williams said. Marc Goodin, owner of Coventry Self Storage in Connecticut, likes to make his customers and neighbors smile. In May, he walked around his facility and throughout Coventry, CT, handing out packets of sunflower seeds. He said customers and local residents were pleasantly surprised. He explained how the seeds would continue to spread his company’s goodwill—carried home by recipients, discussed and shared with friends and family, planted throughout neighborhoods, and finally growing into flowers and becoming a conversation piece. Once the packets are distributed, Goodin continues the conversation about the sunflowers on social media. 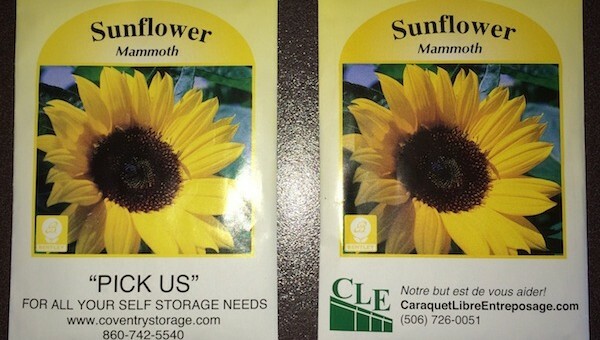 He posts photos of people with his sunflower packets and asks customers to share photos of their fully grown flowers. Goodin, who also is a storage industry consultant and owns a second facility in Canada, said that neither the product nor the amount of money it costs define the gift’s value. “The value rises from its presentation to the community and their reception of it,” he said. StorageMart in Des Moines, IA, shows its support for music and gives customers an opportunity to partake in the area’s largest music festival. 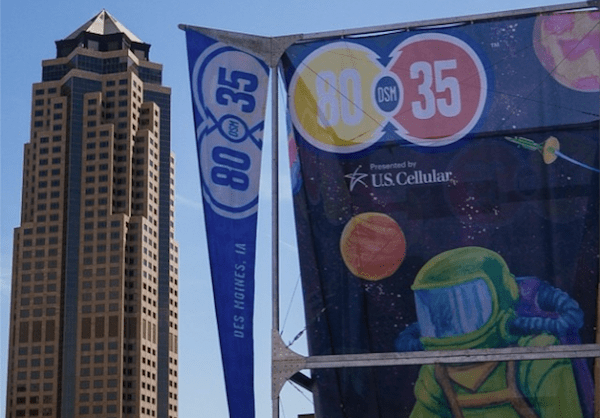 StorageMart gave away five pairs of weekend passes to the Des Moines Music Coalition’s 80/35 Music Festival on Facebook. The music festival, featuring local and nationally known acts, took place July 4 and 5. StorageMart acquired the former Budget Storage facilities in March, giving it a total of 15 locations in the Des Moines area. The nonprofit Des Moines Music Coalition seeks to build a more diverse, economically sound music scene in the region. StorageMart, a Columbia, MO-based storage operator, is a major supporter of the coalition. So, what sort of giveaway item might work best for your facility? Should you hand out tickets to a music festival? What about Bibles?